St. Gallen, Stiftsbibliothek, Cod. Sang. 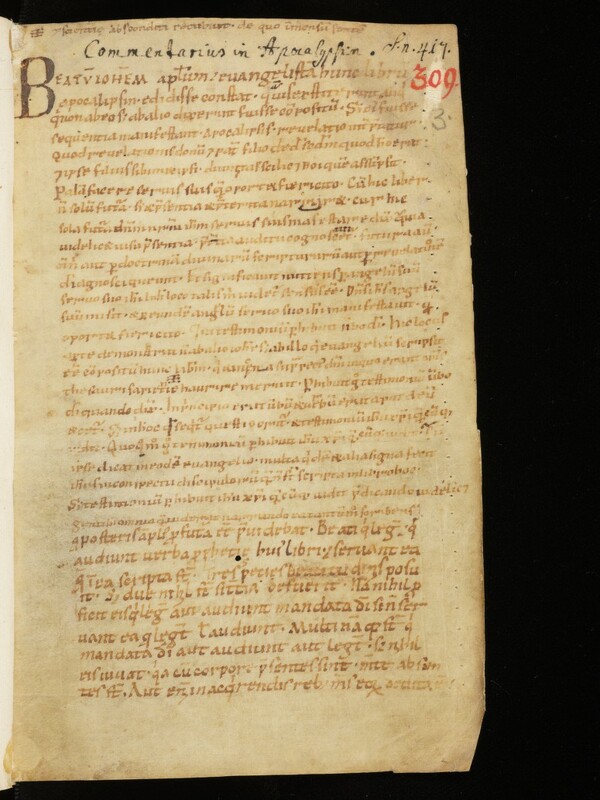 309 B: Berengaudus Ferrariensis, Expositio super septem visiones libri Apocalypsis (http://e-codices.unifr.ch/de/list/one/csg/0309b).